GREAT FALLS- It's one of the biggest events of the year and that’s the PRCA Pro Rodeo Circuit Finals. This morning eight rancher teams dueled it out in a series of events in the North 40 Ranch Rodeo leaving one team taking home a cash prize. This competition is all based upon testing rancher's everyday skills like branding, doctoring, and sorting. Matt Nisly and the Sun River Team took first place today in the North 40 Ranch Rodeo with a final score of 25 points. The team says it's a pretty good score considering they’ve been competing off and on for the last few years in their spare time. You'd think only a few rodeos a year would mean they wouldn't be fit to win, but the daily working skills they gain on the ranch keeps them in shape. "It's pretty rewarding. You work pretty hard to get her done. Sometimes you get lucky, sometimes you don't. We got lucky today I guess. Had a good team, couldn't of done it by myself. There's three good guys helping me," said Nisly. 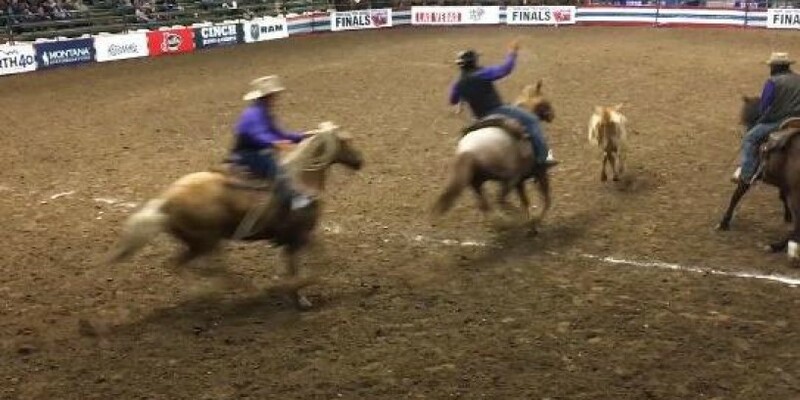 The hardest event for them today was the Bronc Riding where they ended up getting bucked off. However, Nisly says his favorite event is the Team Doctoring because he likes roping.